And so that was Christmas. And what have we done? As 2018 draws to a close, I thought it would be a good time to think back to the year that has been and reflect on the highlights, happy memories and achievements of the past 12 months. What Do You Need To Make Your Home Interior Stand Out? If you are trying to make your home interior stand out, there are some things that you need to consider doing, or purchasing. There are many different ways that you can make your home interior pop, and you don’t need to spend a small fortune to do it. So, if you take the advice that we are going to lay out in this article, then your interior is going to be stunning in no time. 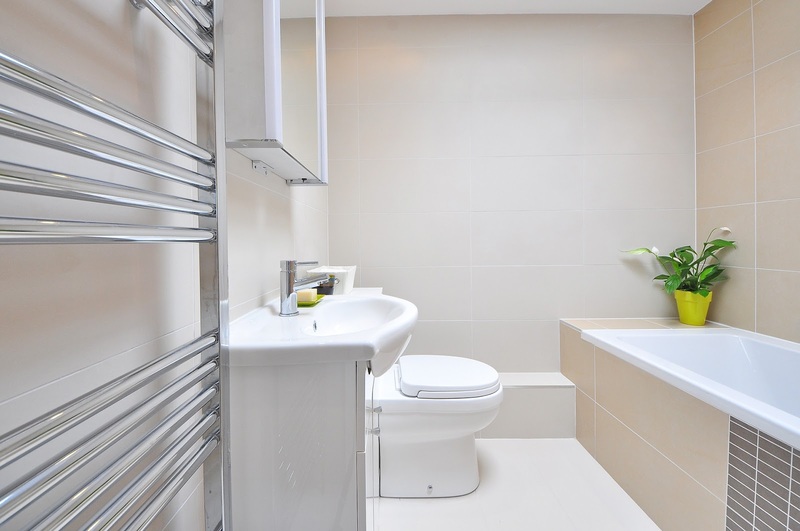 There is no area in the home that is more important than the bathroom. This is a highly personal space and somewhere that you go each day to get clean and prepare yourself for the day ahead. As such an important and personal space, it also needs to be somewhere that you can feel relaxed which means that it is a room which needs lots of attention when it comes to interior design. Not only this, but it is also somewhere that you need to take pride in so that you do not feel embarrassed when friends come over. 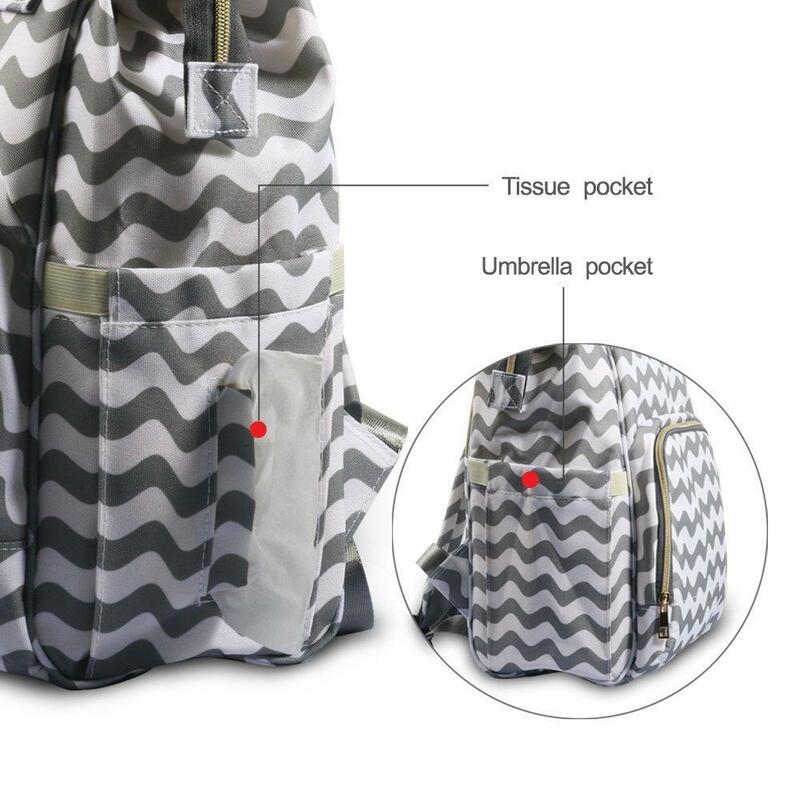 The most cleverly designed baby changing bag ever?! 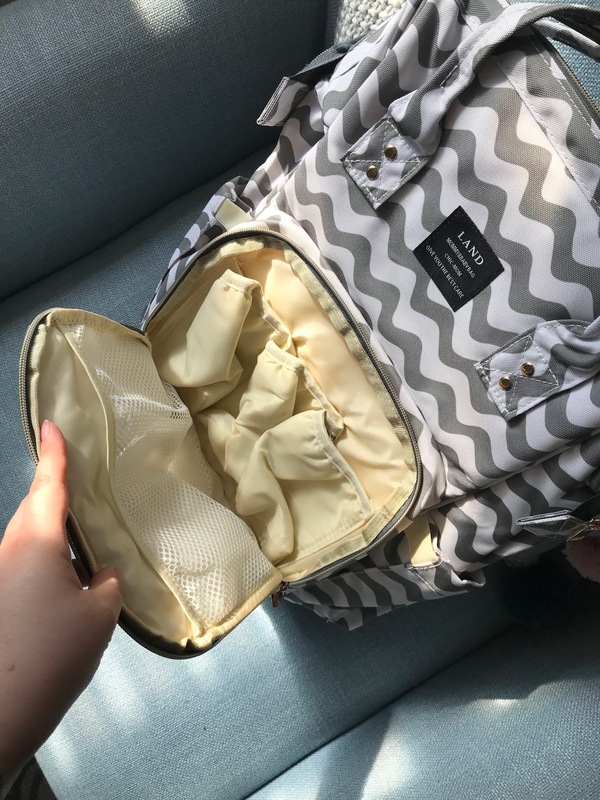 I was ALL about the changing bag last time around, and had a few that I went through with Ethan; one that was a gift, then I loved the Yummy Mummy designs, then I looked for something bigger... what can i say, I love bags! It's really important to find one that works for you. 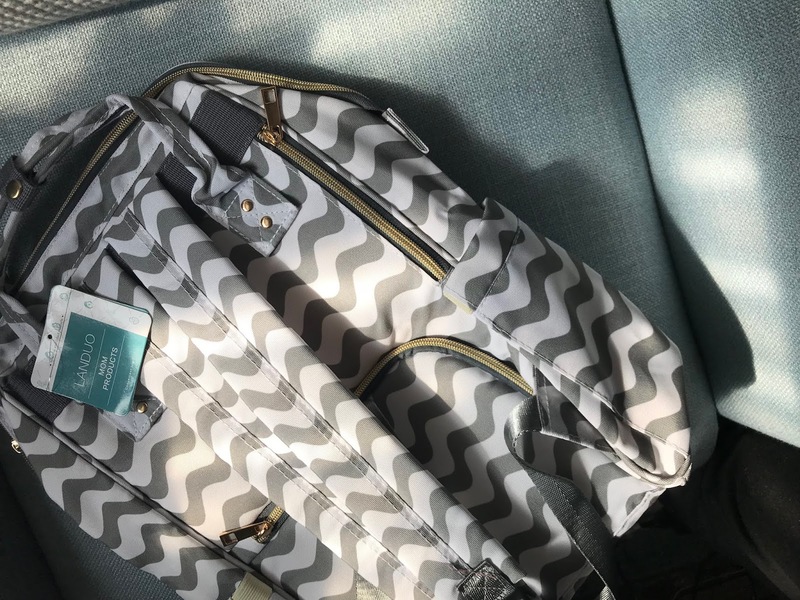 Whether you want something that's gender-neutral, so it suits whichever gender your baby turns out to be or both you and your partner are happy using it, or you want a changing bag that looks anything but, there's a lot of choice out there so you're bound to find something that works for you. And until you do actually have the baby, you won't always know which one will work for you in practice, as I found out last time. I even shared my ideas for turning any bag into a changing bag. This baby around, we actually have three changing bags. 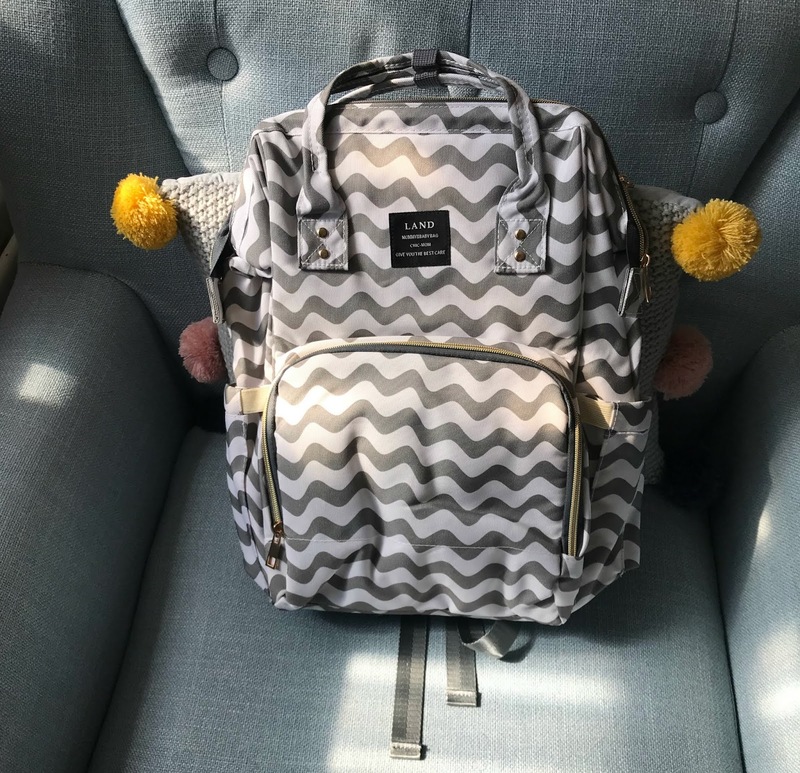 One came free with our Cosatto Giggle 2 bundle (a nice bonus, and it matches our travel system too), another is a messenger style bag that bubs likes, and the other is the Land multi-functional changing backpack. I came across it on Instagram and quickly headed to eBay as there's several shops you can buy it from for a bargain price (I believe I bought this one for around £24.99). So, why do I think that this is perhaps the most clever baby changing bag ever? Well, every single part of it is designed to make use of space, provide a pocket for everything and to help make your life easier. It's a backpack - really handy for days out, especially if you have another child, and it won't weigh down on one shoulder the more you cram into it. 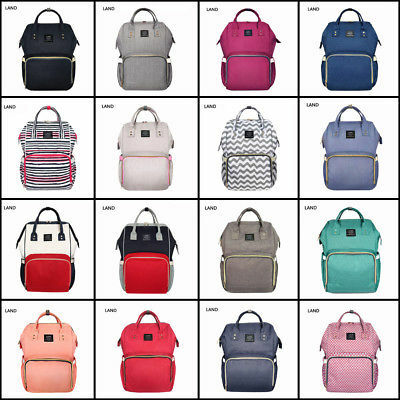 It comes in a wide range of colours and patterns, and has a wipe-clean finish. 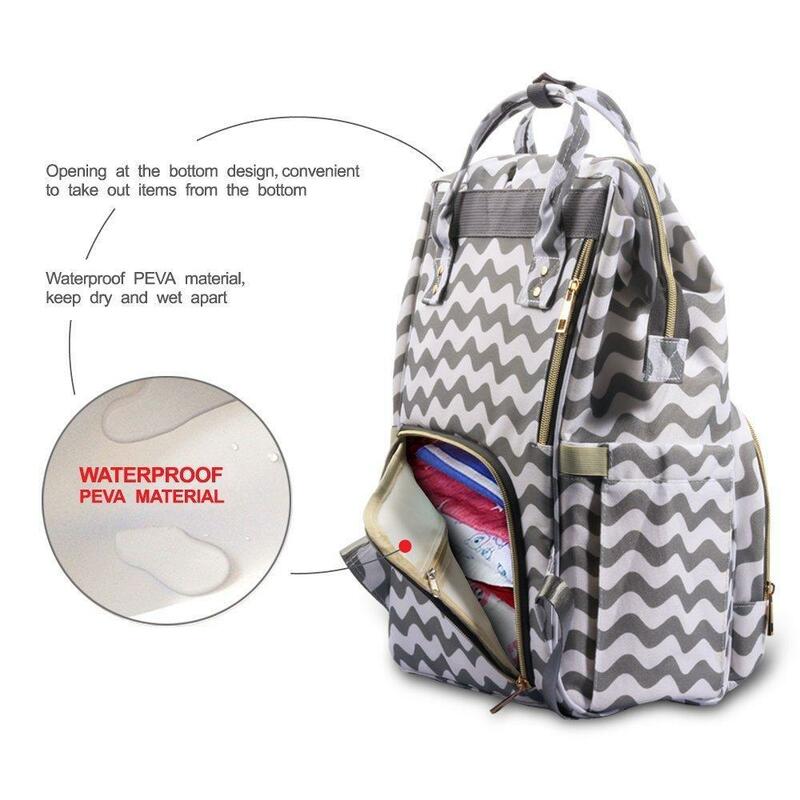 The main section of the bag has a frame to it, so you can open up the top and it will hold in place, so you can have a good look inside. The outer pouch has plenty of room for bottles, easily accessed. 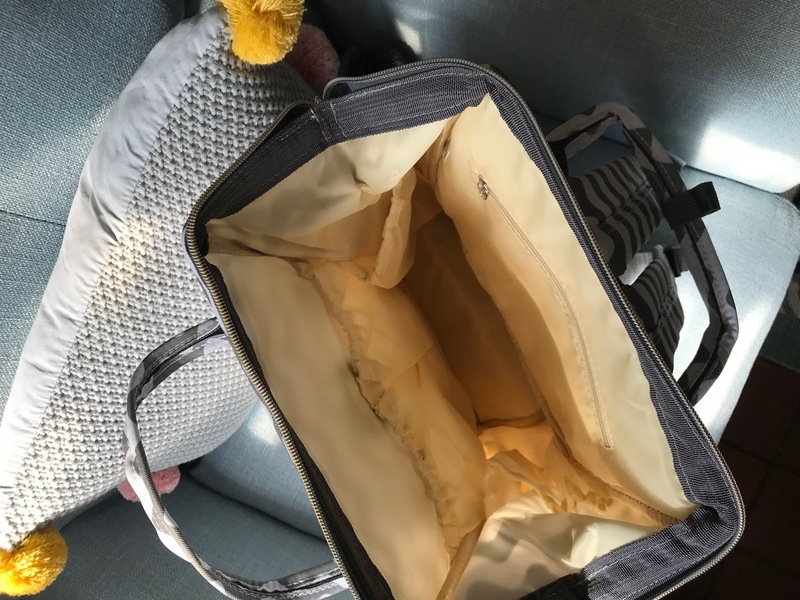 On one side, there's a pouch for baby wipes, so you don't event have to get the wipes out of your bag to be able to use them. There's a hidden pocket in the back, so you can put your phone or wallet inside and access this without digging through everything else. On the back, at the bottom, there is a zip which allows you to get to something at the bottom of the bag without having to open it from the top - genius! 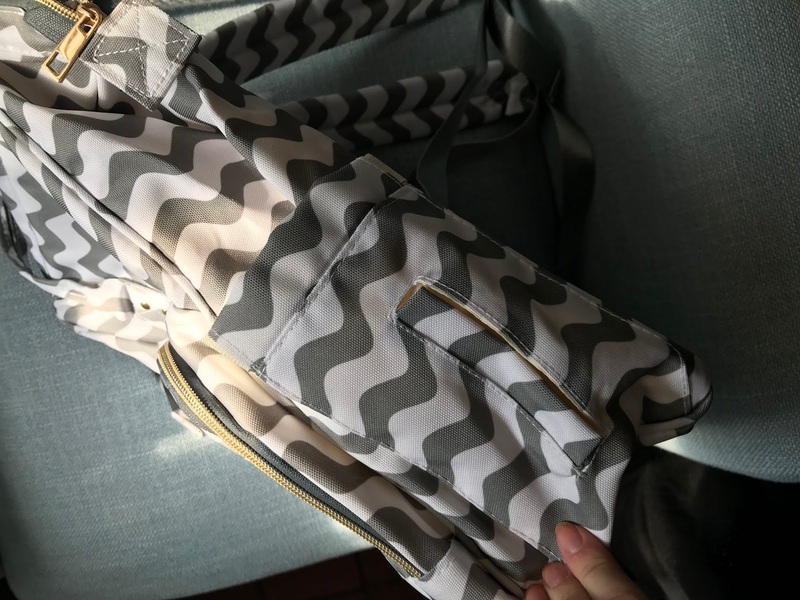 Time will tell if we love this bag when we actually have baby and can use it out and about, but I do think it is super clever and would make trips out a bit easier and more organised. See what was in my changing bag when Ethan was one year old, and again when he was two years old. Yet still, every Christmas most of us end up panicking two weeks before the big day when realisation hits that not a single present has been purchased. Some people are a lot easier to buy for than others *cough* men *cough*... So it’s always useful to get as much Christmas gift inspiration as you can before you hit the shops. Shopping during the festive period should be kept to a minimum. Try to make sure its an in-and-out kind of trip to avoid being trampled by frantic and flustered shoppers! Or even better, order online to save yourself any unnecessary stress. Buying a pram is perhaps the most exciting purchase you can make as a parent-to-be, don’t you think? 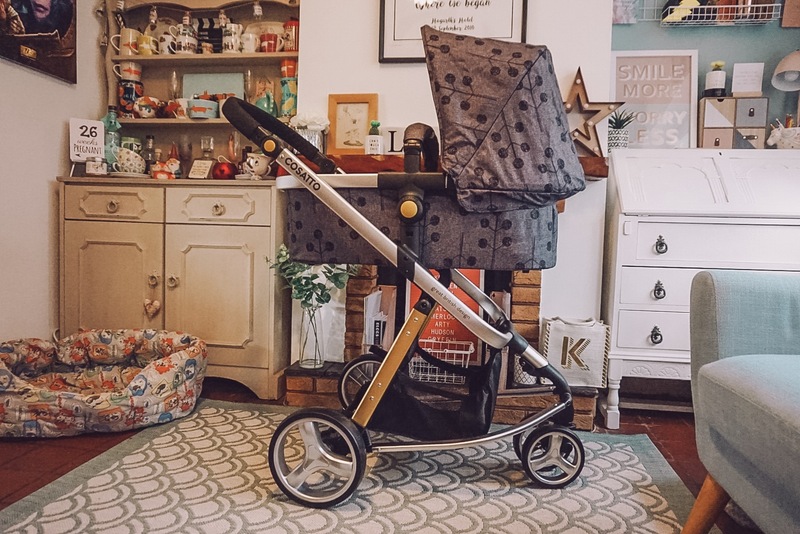 In the summer, we discovered that the car seat with our old travel system had been rendered unusable due to how much time we'd been storing it, so I started looking into what’s available and working out which model offers what features etc. It was SO confusing! And the prices can steeply go up and up from brand to brand, add on to add on. I’ve always liked the look of Cosatto and came across an amazing offer over the Bank Holiday weekend where we ended up getting the WHOLE BUNDLE for the Cosatto Giggle 2 exclusive Mothercare print (chassis, carry cot, pushchair seat with four reclining positions, reversible foot muff, car seat, raincover AND changing bag) for just £445 from Mothercare, whereas it should have been £644 - WITHOUT the car seat! 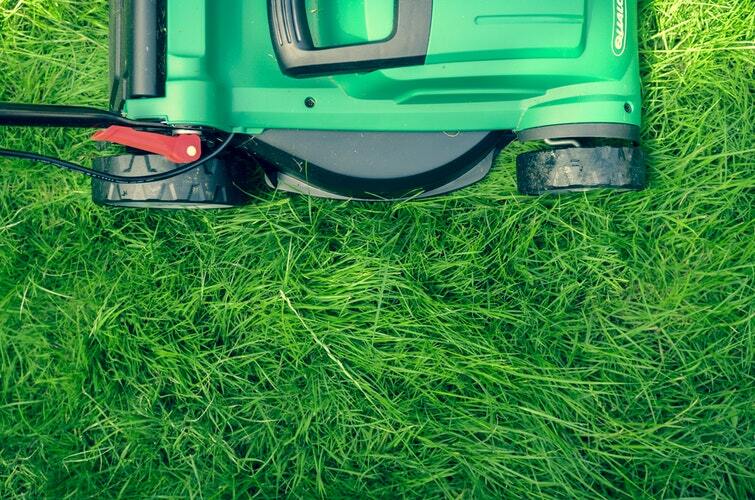 Looking after your lawn might seem like the least of your worries. Actually though, if you invest a small amount of time each month into giving your lawn what it needs, the results will be very noticeable and completely worthwhile. You don’t want to neglect your lawn all year round and then when summer rolls around realise your kids have only got a patch of dried up mud to play on. Start preparing early, so you end up with a lush green haven in your backyard. If next summer is anything like the crazy one we had this year, we’re in for a treat! You don’t want a sad-looking lawn to hold you back from hosting as many summer barbecues as humanly possible. Despite this, unless you’re an avid gardener, it’s unlikely you know exactly what your lawn needs at certain times of the year. So let’s have a look at some seasonal lawn care advice to clear up any confusion! These tips will hopefully help you to keep your lawn happy all year round, but if you would prefer to leave some or all of the work to the professionals, Greensleeves can help. Greensleeves offer a range of highly effective but affordable lawn care treatments to suit every season. You can even book a year-round service. This means that no matter the weather or where you are in the UK, Greensleeves pay you a visit five times a year to make sure your lawn is getting the attention it needs. All without you having to lift a finger! 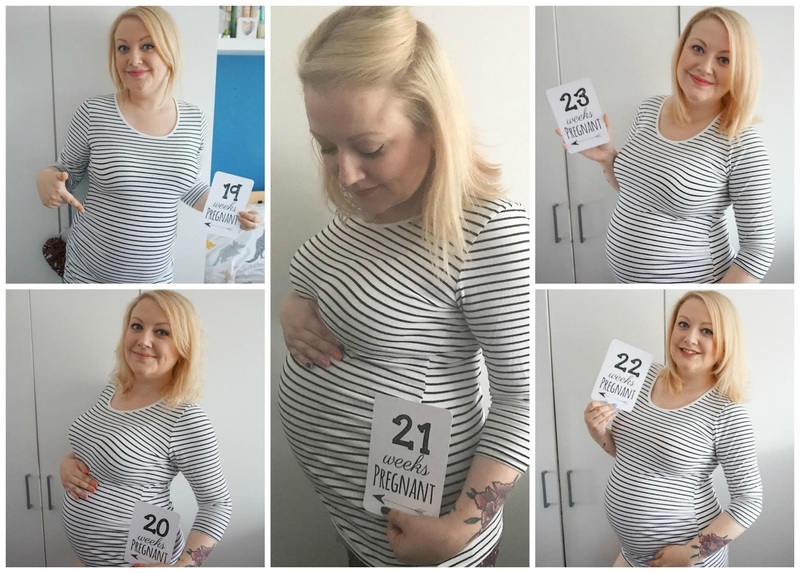 Things I'll miss about pregnancy... and things I won't! 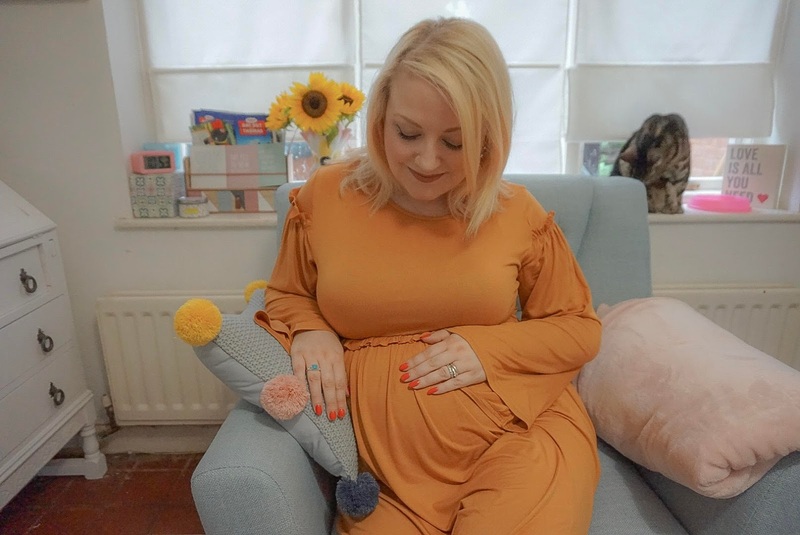 As this pregnancy comes to an end (and not knowing if it'll be my last), I thought I'd reflect on the things I will miss about being with child... and the things I really won't miss all that much at all! Mobile phone bills can be a huge monthly expense. 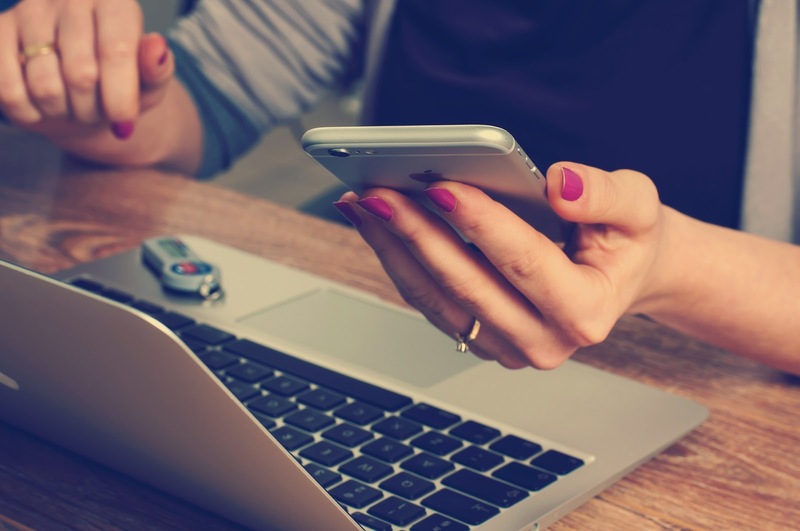 Smartphones are obviously important in today's world, but not if you are saddling yourself each month with a hefty bill, or even worse being one of the 500,00 people who are overpaying for their contracts! I'm feeling good, baby seems to be very content, and if anything, getting even more active. I am seeing my midwife later so will find out which way they are facing and to check things are on track, then it's on with the waiting game. With my last three midwife appointments, I ended up being referred to triage at our hospital, twice, as the midwife took three high blood pressure readings in a row and it's standard practice, to ensure nothing is wrong or there aren't signs of preclampsia to pick up on. My last visit, three weeks ago, I was more prepared for having been referred before and then finding out that everything was ok. I went home first and packed some food and things, just to be on the safe side, and headed into a quiet ward at 7pm. Three hours later, I was home. I was taken care of by around six midwives in this time, as they weren't busy and were very attentive, and had bloods taken, a trace done on baby's heartbeat and several blood pressure readings; all of which came back fine. The only thing that was a concern was traces of ketones in my urine, which can be a sign of diabetes I believe. I'd had a busy day and didn't really eat well, or drink enough, so this could have been a cause - so they fed my up with sandwiches, tea, orange juice, fruit and yoghurt (I thought I was going to burst!) and took another sample to make sure the reading came down. And it did, which was a relief as I would have had to stay in overnight otherwise. All was well, and I was told to take better care of myself. Baby bump has measured right on the middle line each time and they have a nice strong heartbeat, so all indications show that they're doing what they should be doing. Let's hope it's the same when I see the midwife today! Baby is almost fully grown now, anywhere from seven pounds by anyone's estimations, and according to my app, they're skin is getting nice and soft. The development stages are all pretty much complete, so it's just how long they want to stay in there for. They really do like having a wriggle, and are still very predictable so I know when to expect their movements. In the evenings, they have a full on party in my tummy from around 7pm for one to three hours, with pronounced movements and jabs. Sometimes I think they're doing jumping jacks, other times a lump pops out near the top, to the right as I see it, which I think my be a foot. They still get hiccups as least once a day and respond well to my voice. I'm glad to be on maternity leave now. I was feeling heavy and the routine of school runs and work did take its toll some days. But I knew I had to keep on going, it's just my way, and now I can relax knowing we've made it to December, that lots of things have been sorted out and we are as prepared as we can be. I have been continuing my pregnancy yoga, although had to miss a few over the past couple of weeks due to being away or not getting home in time, but the techniques have made a real difference, mentally probably as much as physically, and it's been nice to meet other expectant mums. Every ache, twinge, cramp, movement etc. has me wondering. As I type this, I can feel a real pressure lower down. But when anything like this happens, it seems to pass quickly and I just think it's me being hyper aware of every little thing. Because there's no way of knowing how long we have to wait, everything I do every day has me wondering if it's the last time I will do it before baby comes - last time I paint my nails, last time I fill up the car at the petrol station, last time I drop Ethan off at school with a bump and not a baby... last blog post?? I get up at least twice in the night to go to the loo, and can be awake for a while before and after, but I think the pregnancy insomnia is starting to ease off. Sitting in the armchair or on the sofa, in the evening in particular, can be really uncomfortable for me now - there's just nowhere for bump to go! Lying down is by far the most comfortable position for me, still using my pregnancy pillow and wedge to support bump and my back, and to keep my hips aligned. Heartburn has come back, day and night, and I have one Rennie a day or so when it gets too much. Around three weeks ago, I noticed that there were some stretchmarks on my tummy that were turning red, as my skin stretches even further. I also spotted about two weeks ago horizontal stretchmarks, red / purple in colour, at the top of my bump, as I look down. I think my skin hasn't got much more to give! My belly button is flat and I think the bump is getting lower, just under the weight of it all. The nursery is complete now. I went to see my parents last month, and whilst away, hubs freshened up the paint in the nursery and put the cot bed back together (we have a changing station that sits over it, so needed it to be set up, and the inside is proving a good space for us to store Christmas presents and the hospital bags). Yes, the hospital bags are packed and the car seat is even in the car! Although, the bags have been packed for a few weeks, so much so I keep thinking of things to add so I might have to bring them in again to check and repack!! We moved the wardrobe round in our room to make room for the Snuzpod 3, and this is all set up too in our room. I bought a cot organiser in grey to match on Amazon, which has more useful storage pockets than the Snuz version, and was half the price. There are now nappy supplies / caddies all over - in our room, the nursery, the lounge, the car - so we have all bases covered! Baby's clothes are sorted in the cupboard, we've added some new decorations to the nursery, we've bought the last few things like a baby bath and a birthing ball, so we really do just need a baby now. And that is the strangest thing. I cannot get my head around the fact that we will be a family of four soon, possibly really soon. I can't imagine what they look like, how they will feel, what it will be like. Ethan is very excited, still. He hugs bump, talks to baby and seems to be excited for their arrival. He's very affectionate and tries to help me too, offering a hand when I try to get out of a chair. It's going to be an adjustment for everyone and who knows how Ethan will really feel when baby arrives, but we are as prepared as we can be and with the Christmas holidays coming up, we should have a bit of time to adjust to baby, whilst Ethan is still at school, and then quality time all together over the break, to get used to our new family unit. The Christmas decorations are up so I am looking forward to a festive family hibernation period when baby does decide to come. I am in no hurry but I am also so curious too. Torn between wanting to soak up these days, as it could be my last pregnancy and I do love having my bump, and then dreaming of what our bundle will be like. Somebody pinch me - it doesn't feel real at all. 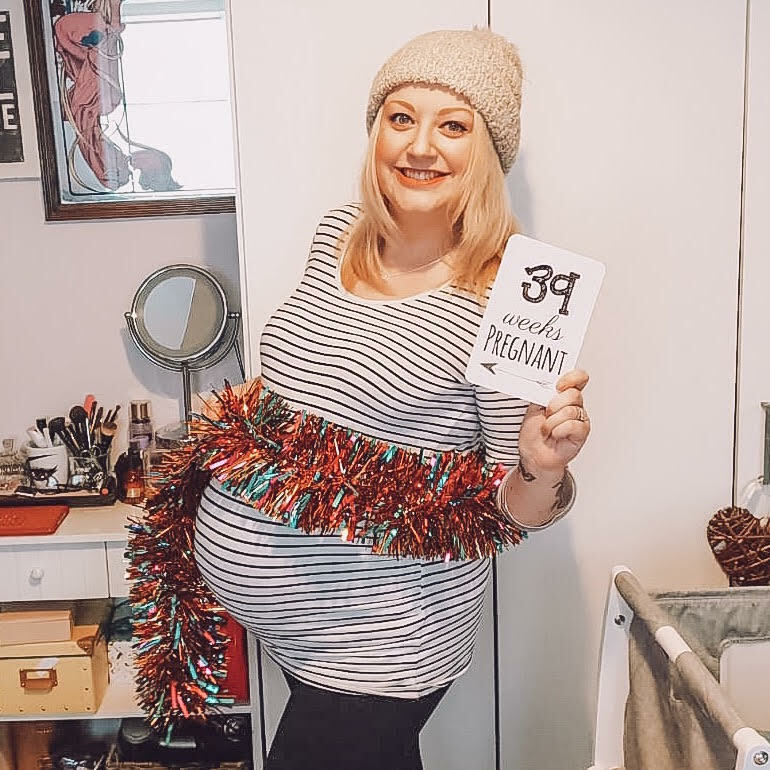 Don't miss: my pregnancy announcement; 12 week pregnancy update; guest post for Natural Birthing Company on the first trimester; mama treats for the second trimester; 18 week pregnancy update; deciding on whether to find out the gender of our baby; Bossing my birth with an online course; maternity fashion for autumn; second trimester update for Natural Birthing Company. We have lived in our house for over 12 years now and there's lots we have changed in that time, but a fair few things that we haven't - including the old fashioned brass numbers on our porch door! The front door and porch is the first thing you see when you come to our home and it's important to make the right impression. 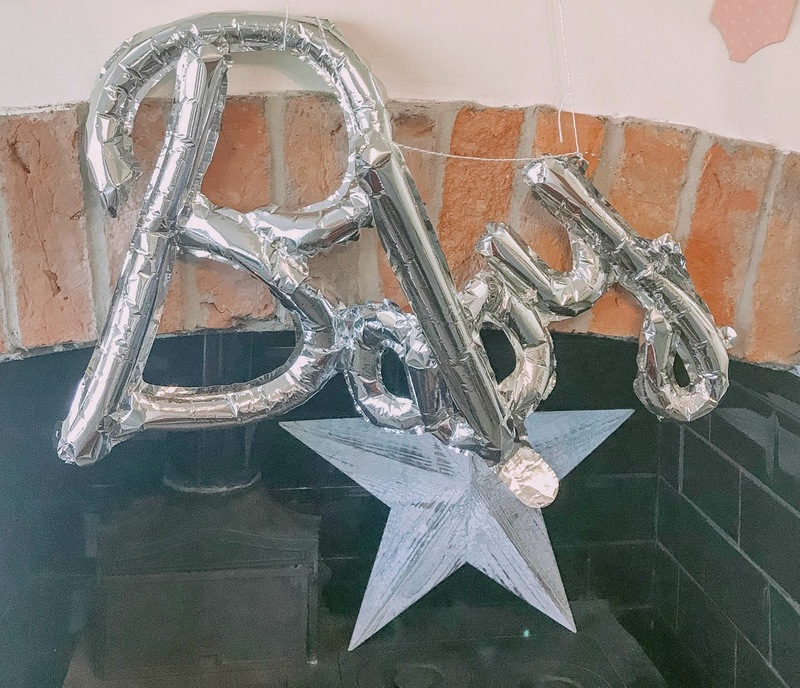 We had the opportunity to review a customised house sign, courtesy of UK Sign Shop, and I loved the idea of adding a special touch to our home. There's a large range of house sign styles and materials to choose from, so it could actually take you a long time to make a decision! Hubs and I agreed that we liked the slate signs the most, but I still wanted a bit of a modern edge. I chose a rectangular design with a nice flourish / floral detail to it, then kept the font modern so it would be bold and clear to see from the street. 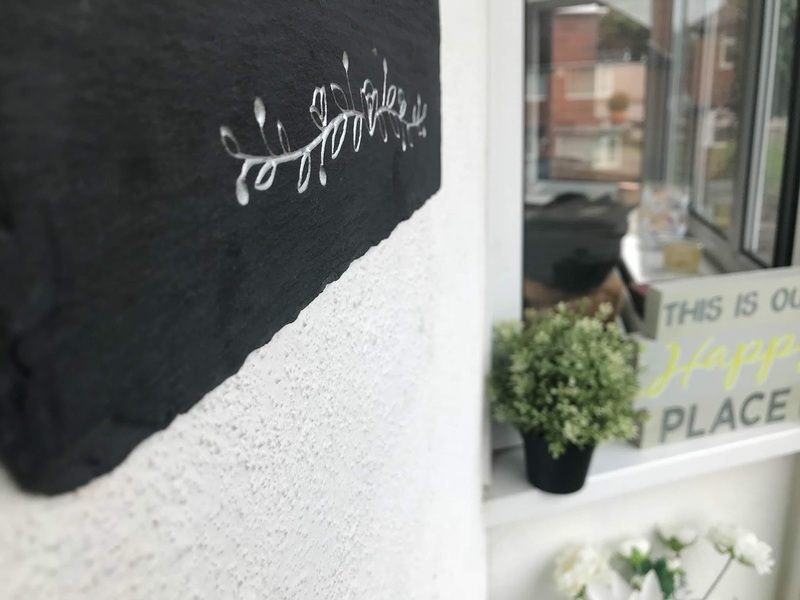 It's the Bluebell Slate House Sign (£28.99) and features a deep engrave highlighted in silver, to combine the traditional slate material with a contemporary finish. Way back in the day, I used to love NBA Jam on the SNES. Its super-fun, arcade pick up and play approach to basketball – a game not often seen in the UK back in the early 90s before the internet and cable TV – meant it was a firm favourite when friends came over and didn’t require in-depth knowledge of the rules of basketball to play – in fact, everything I know about the rules of basketball now started with NBA Jam. I put a hell of a lot of time into NBA Jam, less so for the sequel, and then didn’t play any basketball videogames for years and years. Then, a few years ago, I bought myself NBA 2k13 in a Steam sale which, unbeknownst to me at the time, is far more of a basketball sim; I remember doing the tutorial which was so long that by the time I’d gotten to the end, I’d forgotten what it told me at the start. With no arcade alternative on the market, I gave up hope of ever playing something as fun as NBA Jam was. Then, last year, 2K games released NBA Playgrounds. Immediately I was intrigued; cartoony basketball stars, more immediate, arcade gameplay and basic controls meant it sounded like it was right up my street. However, the game didn’t do so well critically, so I never took a chance on it. 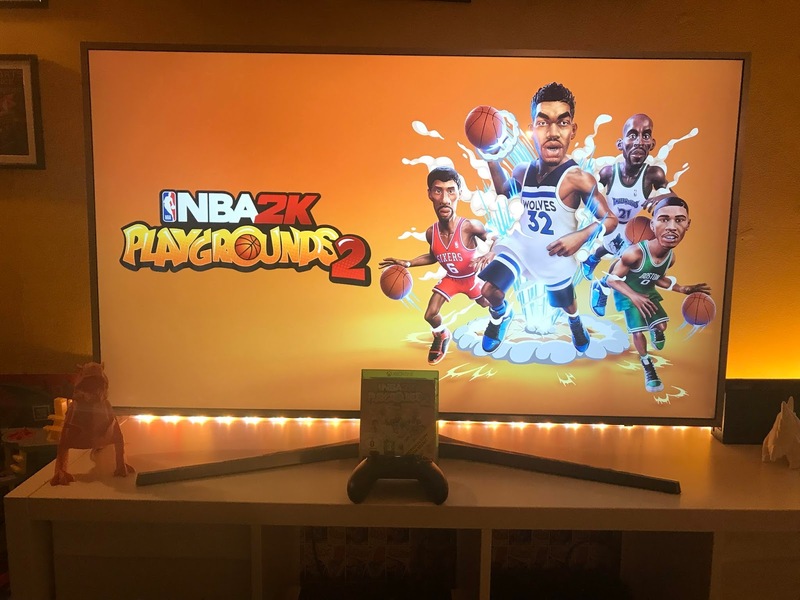 Cut to today: I’ve been given the opportunity to review NBA Playgrounds 2 for Xbox One (or Xbox One X in my case) and I’m happy to say it totally scratches that NBA Jam itch. *Updated* I've been making my list, and checking it twice, to bring you my round up of some of the best places in the Midlands to see the man in red this Christmas, 2018. 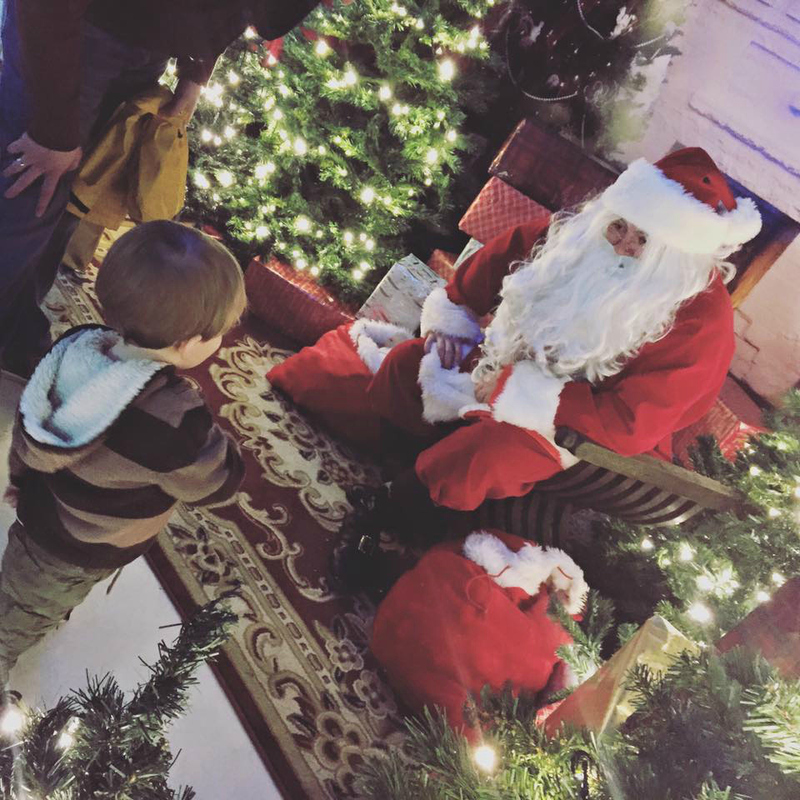 Whether you call him Father Christmas, Santa or jolly ol' St Nick, this is one place you can find information on the best grottos in and around Birmingham and the West Midlands. It's a tradition of mine, just like decorating the tree and singing Christmas songs, and this is my fourth bumper guide to where to see Father Christmas in the region. It takes time, but I love doing it and find that my past posts on grottos are some of my most popular - so I really hope it's useful. This is going to be my BIGGEST SANTA GROTTO ROUND-UP YET, with new info and locations added as and when I have it. 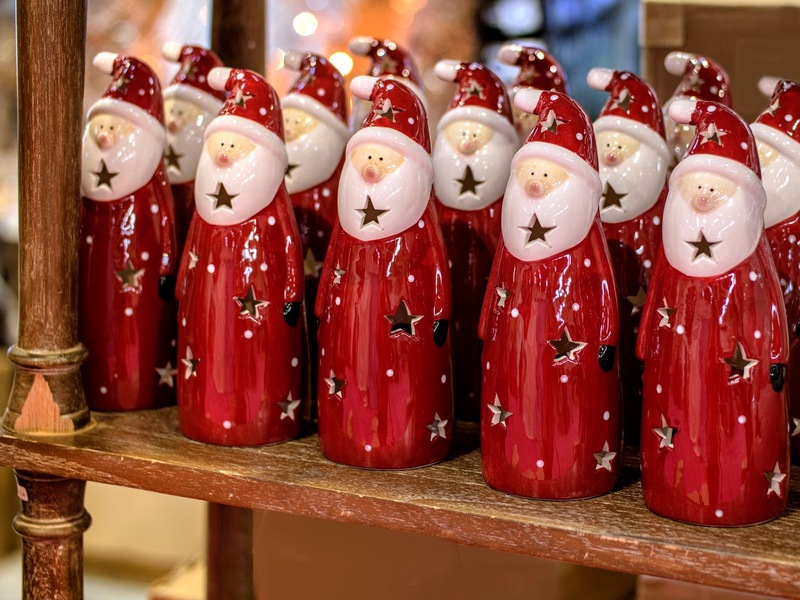 Now, some are so popular, they sell out long in advance, but I hope these links help you find out more and choose a fun festive day out for your family. 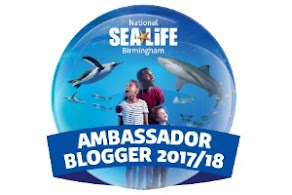 I will keep this post updated with new events, and every attraction featured is based on my own research and no content has been sponsored. Christmas is a time that sees the family coming together to spend quality time, eat, drink and be merry - and play games! It's tradition, isn't it? As Ethan starts to get into computer games - and to be honest, he's getting pretty good - we've been thinking about games we could play together this Christmas, from traditional games (like Guess Who?, his current favourite) to computer games that all of us can play together. I am not a gamer AT ALL, so my skill set and patience is quite limited and if I'm going to get involved, it's got to be something easy and fun to get into. 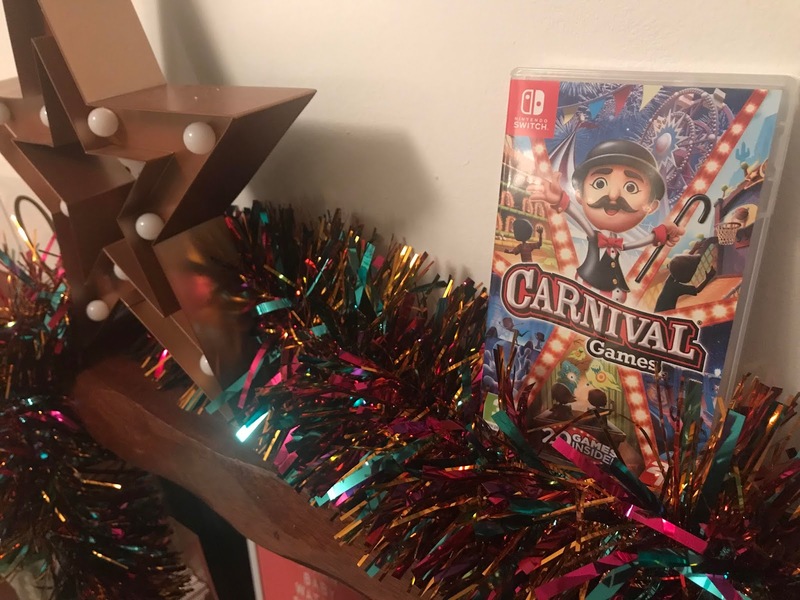 Which is why I was keen to try out the new Carnival Games, as it's all about classic games you would see at a fair, from bowling to shooting targets. Just the kind of thing that you can dip into and anyone can pick up. I think this is a fun and colourful game and something to have to hand to bring the family together over the Christmas break. As I say, I don't know a lot about games, so having something to dip into is all I am looking for, which is why I think this is worth a look. When the unexpected happens... and you need some extra money, fast! I’d like to say I’m good with money, but what I really mean is I’m good at spending it. 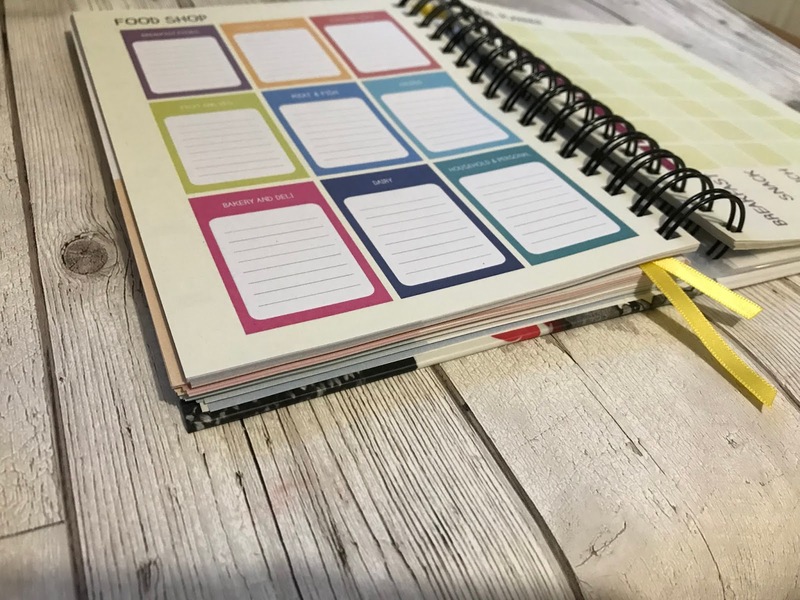 I do have a good handle on my finances and have kept a really detailed budget sheet for many years that helps me log all the incomings and outgoings in a given month so I know where I stand. But I do like to squeeze every little bit out of my monthly salary and enjoy looking ahead so we can budget for holidays or special occasions or the next thing we are working towards in our house - or perhaps even preparing to have this baby of ours! Because there’s always something, isn’t there? As a busy mum you have so much on your plate, it’s no wonder that things can sometimes go wrong. There are silly mistakes most of us make as adults and although they’re not life or death, they can cause issues at the time! Here are three examples, and how to avoid them. You wake up, and instantly you know something isn’t right. You check the time and it’s immediate panic, you’ve slept through your alarm (or it hasn’t gone off) and you’re running late for work, your children's schools or an important appointment. Most mornings you might throw a mini tantrum having to get out of bed, and find yourself feeling tired for ages. But on these mornings, you can bet that you’re awake right away and out of that bed like a shot! And of course, these will always be the mornings that your kids decide to sleep in themselves, instead of being up at the crack of dawn as usual. It can happen to the best of us every now and again, but if this is occurring on a regular basis then something clearly needs to change. Start getting yourself organised the night before, lay out your clothes, pack your lunch and your bag and set your alarm (as well as a backup alarm). Rejig your schedule so that you’re getting to bed earlier, more sleep will make getting up in the morning so much easier. It can help to plan a nice breakfast too, something healthy that you’ll enjoy. While your boss is sure to forgive a missed alarm once in a blue moon, if it becomes a regular thing then your job could be at risk. 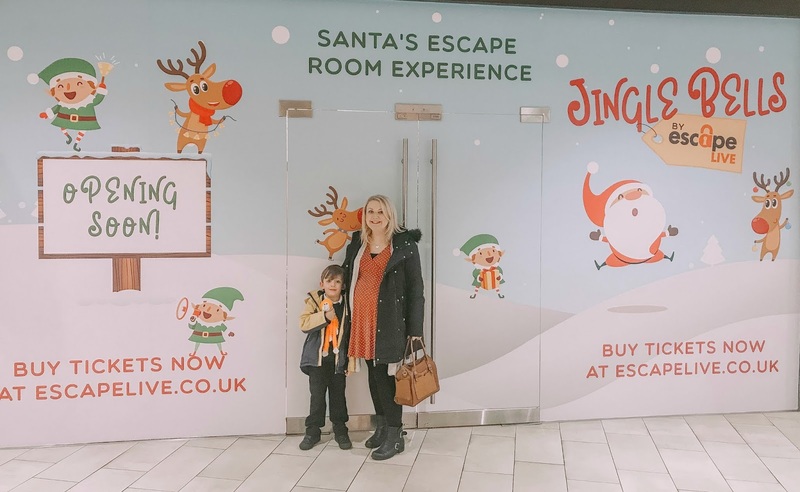 You may have seen my annual bumper guide to Santa grottos across the Midlands, and I have a new experience that has shot to the top of my 'nice' list - the Jingle Bells family escape room event at Resorts World Birmingham, which is open now. We were invited along to be one of the first families to enjoy Jingle Bells and we kept it a surprise from Ethan - so seeing his face light up when a friendly elf opened the door to greet us, all the way through the activities and meeting the main man in red himself, was just so lovely. We had wondered whether we would have time to actually visit a grotto ourselves this year, given the timings of when baby number two is due, so we were so happy to have had this chance and I can honestly say, having been to a fair few places over the past few years as Ethan has grown up, this is one of our favourite grotto experiences. How durable is rattan garden furniture? 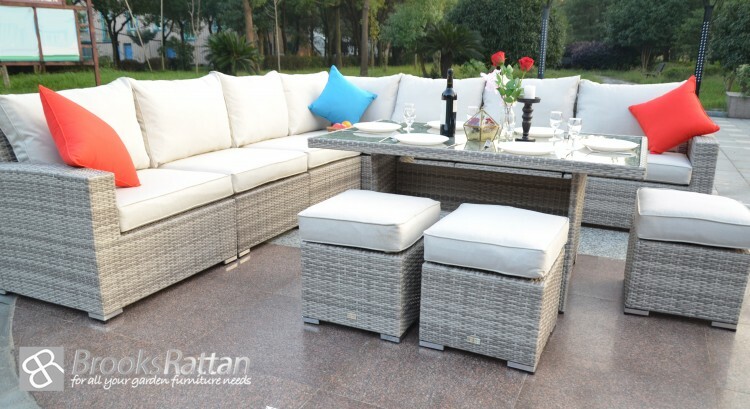 There is nothing that can match up to natural things, but what if we tell you that for your outdoor space , we have something even better, yes the HDPE manufacture rattan garden furniture. Also famous as synthetic rattan, this younger cousin of natural rattan has been very much in demand since it came and is now one of the most preferred choices of UK homeowners for reasons best known to everyone. However, we still have put on the points together that make rattan garden furniture the first and the foremost choice of homeowners in UK. This bump of mine turns 36 weeks today which means there could be as little as one or as many as five weeks left. Either way, that's no time at all! I feel like I have been pregnant for a long time; I've enjoyed it, but those first few nervous weeks dragged on and on, waiting for one early scan then the next, and being pretty damn big and heavy now, I do feel like this baby has been cooking for ages now. They can stay where they are for another three weeks at least! I am of course looking forward to meeting them, so so much, but it still feels pretty surreal. There's a few things that have been helping me to take care of myself, my bump and my mind too. I love stationery and since creating my little work nook in the dining-room-turned-den, I've really enjoyed using and working in this space. It's a pretty corner of our home and a place to store special bits of stationery, including some beautiful notepads from the 5mm Paper collection by designer houseware site Crowdyhouse. 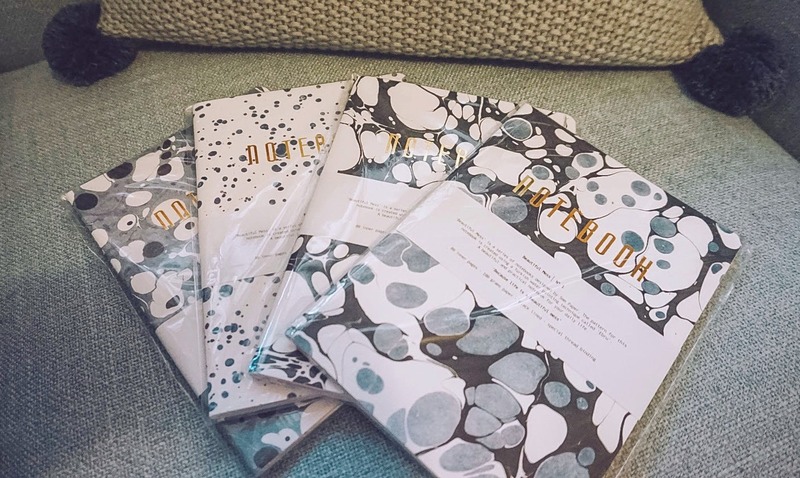 Offering a range of beautiful items, from prints to home accessories and even jewellery, Crowdyhouse is all about bringing designer style into any home, with affordable prices. 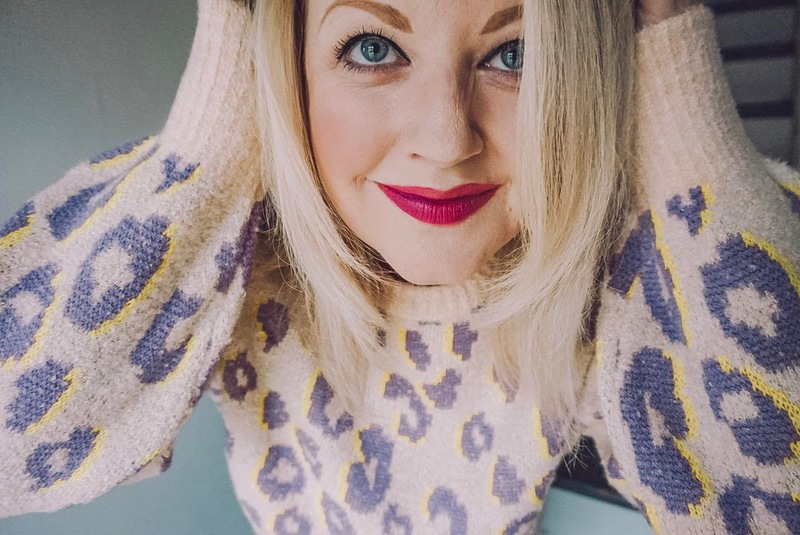 They work with local independent designers and pride themselves on the style and unique range that gives you something different to what you can find on the high street or from large-scale stores. I do love a good shopping spree. 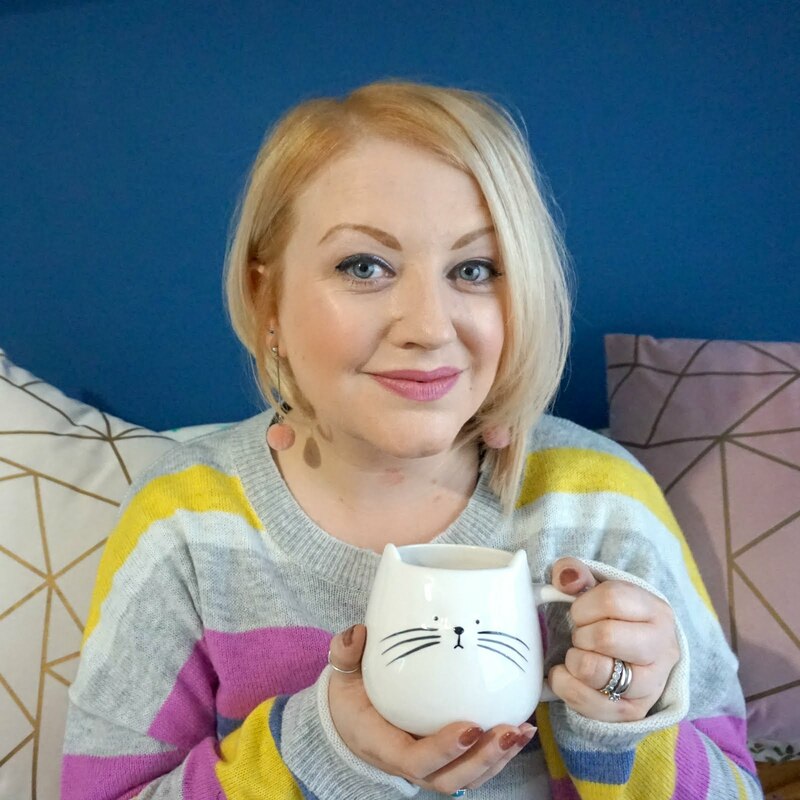 I’m as guilty as the next person when it comes to using online a lot for the convenience, but whenever I plan a day out to pop to the shops, I always get excited and love planning what I need to get whilst wondering what gems I might find. Nothing quite beats walking into a store and not quite knowing what things you may come away with. We live in Birmingham and it tends to be the main place we go to for a shopping trip, but there is somewhere which has all of my favourite shops under one (massive) roof... intu Merry Hill. They’ve got everything from clothes stores to toy shops, homeware to shoes, accessories and stationery. Crayola Scoot is a new four-player game that's released today for Nintendo Switch, Xbox One, PS4 and PC, and we've been lucky enough to be one of the first families to review it. 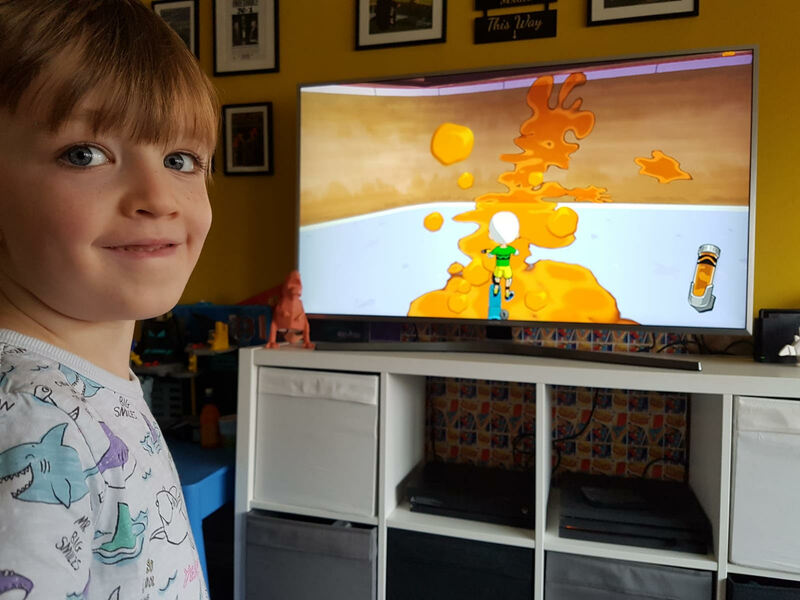 Pitched as a non-violent old school co-operative game, Scoot is Crayola’s first video game in 14 years and it creates the chance to get the whole family together on the sofa to beat the Scoot Legends in a rainbow of exciting events like Splatter Tag, Trick Run, and S.C.O.O.T. Personalised fun and fine art prints - great gift idea for the family! As Halloween has passed now, it's ok to mention Christmas now, right? And as part of that, we can start thinking about buying presents, yes?! To be fair, I know plenty of people who get their Christmas shopping done early and I have got through most of ours as baby is due early December and I wanted to get it ticked off my list as soon as possible. I really like creating, and receiving, personalised gifts and have recently tried a new website that helps turn your favourite photos into a striking piece of art - so more than just a standard canvas, you can create something truly unique. The website is Pictabulous and it allows you to create custom art prints from your own photos. The process couldn't be easier; you choose the style you like - fantasy, fun or fine art - then you upload your chosen photo. 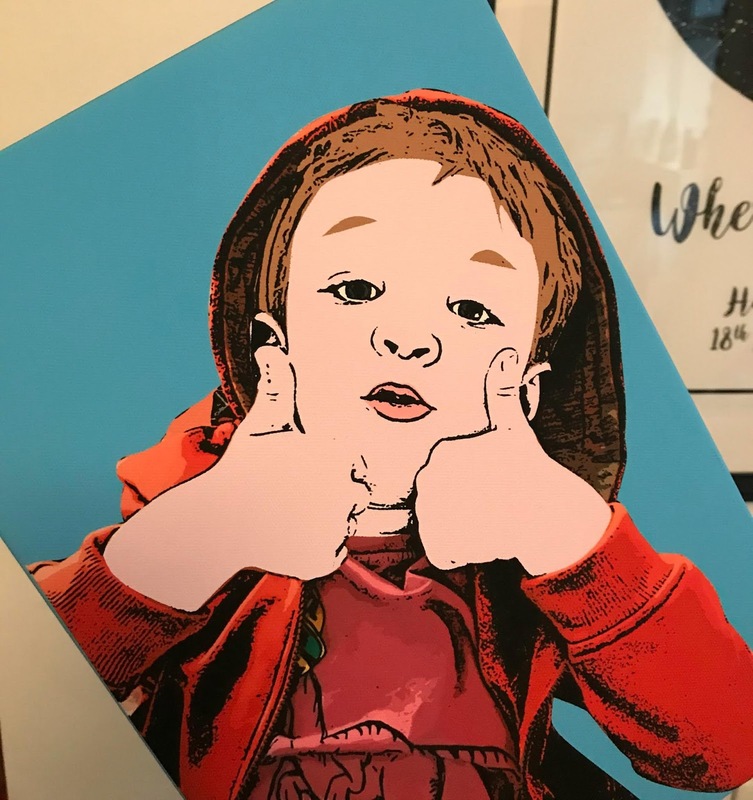 You can choose from different canvas sizes and then all you need to do is pay, submit the order and the creatives at Pictabulous will transform your photo into a work of art. I love any theme so with it being Halloween, it's another excuse to decorate the house, get dressed up and have some fun as a family. 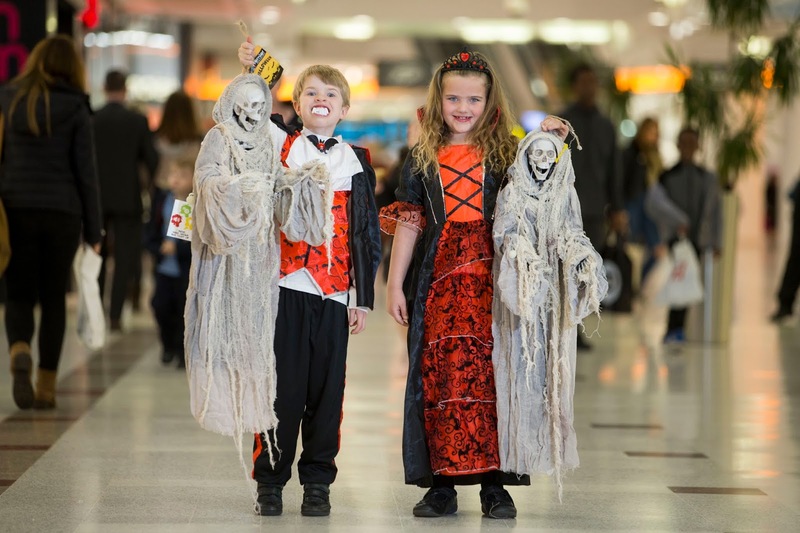 Ste is off with Ethan for half term and if you're looking for something to do today, then you could go and take part in a special trick-or-treat trail at intu Merry Hill this Halloween. Win a pair of tickets to the Festive Gift Fair - 10 sets to giveaway! I can't wait to deck the halls this year, not least because we have an extra special present due for delivery early in December. My Christmas present buying will be done in good time because of baby and we always get out decorations up in our house for 1st December, so if things don't happen earlier for us than expected, we would love to go to the Festive Gift Fair. It marks the start of Christmas for lots of festive fans and shoppers like us. 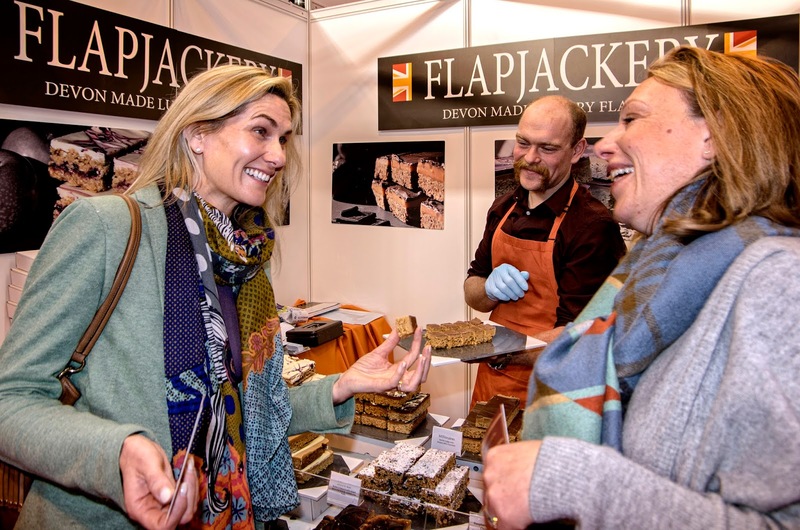 As one of the first Christmas Fairs staged in the UK, it's now in its 23rd year, and promised to be one of the best places to go this November to get your festive preparations off to a cracking start. 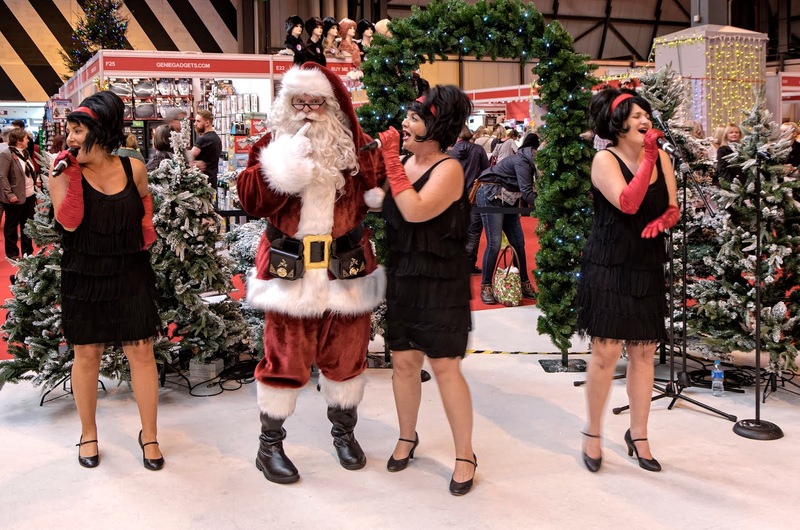 It's a popular event at the National Exhibition Centre (NEC) Birmingham and is the biggest indoor event of its kind, so well worth visiting to get into the spirit of the season, and get a lot of your Christmas shopping done too. 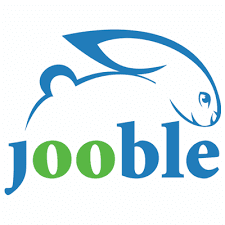 On this year from 15th to 18th November 2018, it looks like a lot of fun and I really hope that we will be able to go ourselves. I have 10 PAIRS OF TICKETS to giveaway to the show! 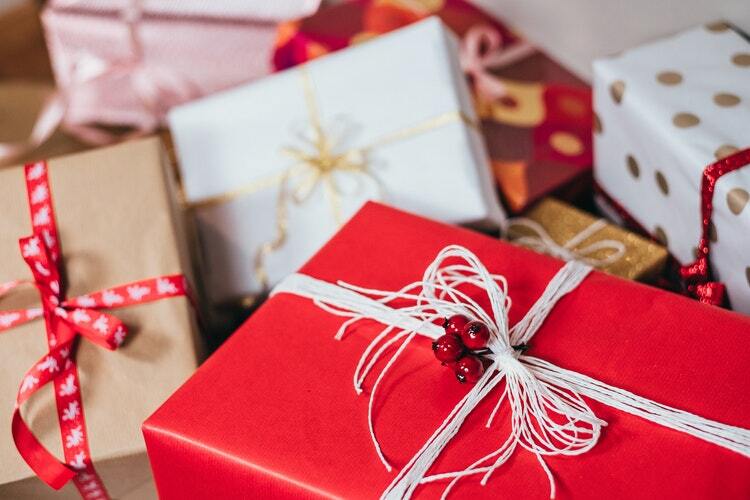 If you want to go to the Festive Gift Fair, enter via Rafflecopter below by midnight on Thursday 8th November, and you could be one of 10 lucky winners who will have a bit of Christmas come early thanks to Festive Gift Fair and To Become Mum. If you have never used firewood to heat your home before, then this is definitely a recommended solution. This is a brilliant way of heating your home whilst being cost efficient at the same time. Plus, no one can deny that you get an excellent dose of heat by using this method. This can really make your home feel cosy and comforting. However, a lot of first-time fireplace users are shocked by the fact that they have a few decisions to make when it comes to buying firewood. Many expect it to be as simple as going online and selecting firewood and boom – as easy as A, B, C. Unfortunately, this is not the case, as there is a lot of different types of firewood for you to select from. But don’t let this worry you. Half term may have started for you, but for us it's next week and we are thinking ahead to days out and fun things to do as a family to make the most of Ethan's time off - especially as baby will be here by the time he next breaks up from school. 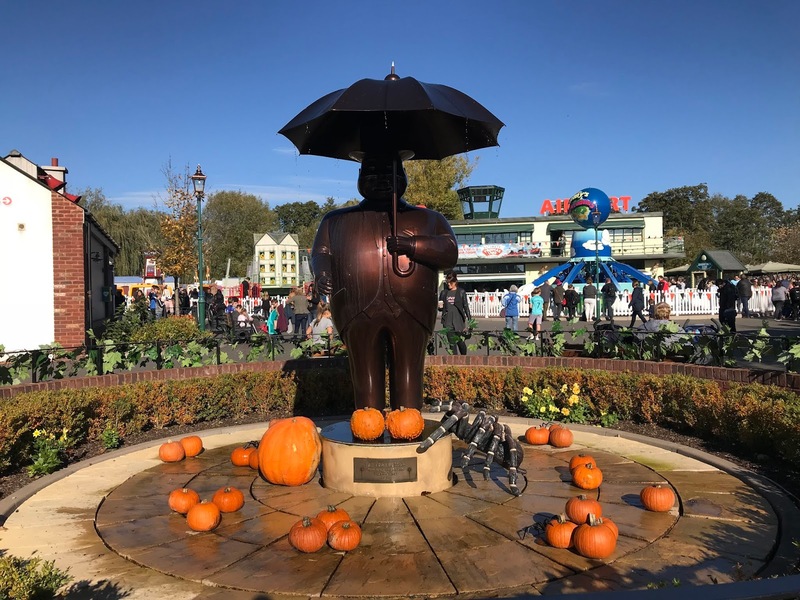 On Sunday, we headed to Drayton Manor Park for the first weekend of their More Treat Than Trick special event - on now until 1st November 2018. We are big fans of the park, as Ethan loves Thomas the Tank Engine (like so many kids do from an early age) and Thomas Land has so much to offer. But we also love everything else DMP has to offer, which makes it a packed day out and gives real value for money; the 4D cinema, the zoo, the dinosaur park, the play area, and everything else in between. We're really are having a baby, aren't we?! In case the colours of my blog and most recent posts on here and on Instagram didn't give you a hint, I LOVE autumn! A big part of this is of course the changing of the seasons outside, seeing the leaves change colour and fall from the trees, and wrapping up to go out and enjoy it all. Warm colours, comfy boots and snugly scarves are some of my favourite things about the season. Being 32 weeks pregnant, I am trying to remain active but also conscious of not overdoing it too, and of being a bit steadier on my feet. This is all good news to our dog, Watson, as he isn't that fond of walking too far, or of wet weather, so a quick trot around the block and home again for cuddles does the trick. 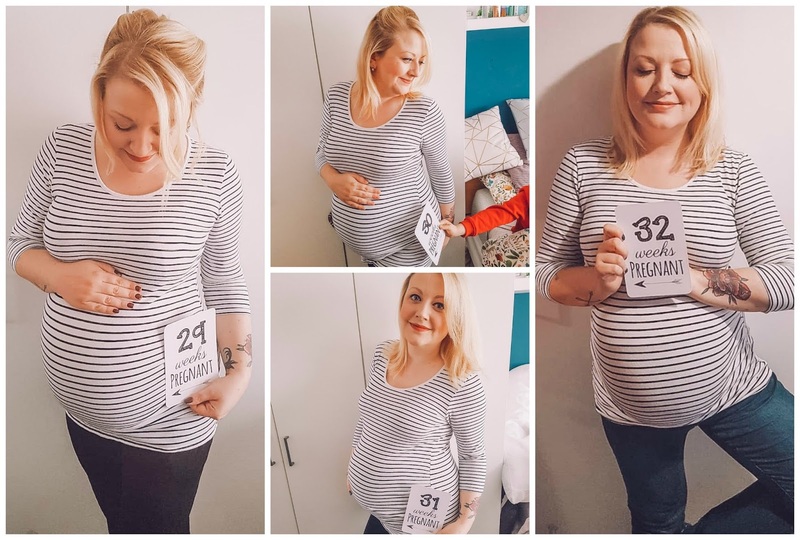 When I first blogged for Natural Birthing Company, I was sharing the story of my journey tobecome mum first time around, and how we found out we were expecting our secondbaby, due in early December. 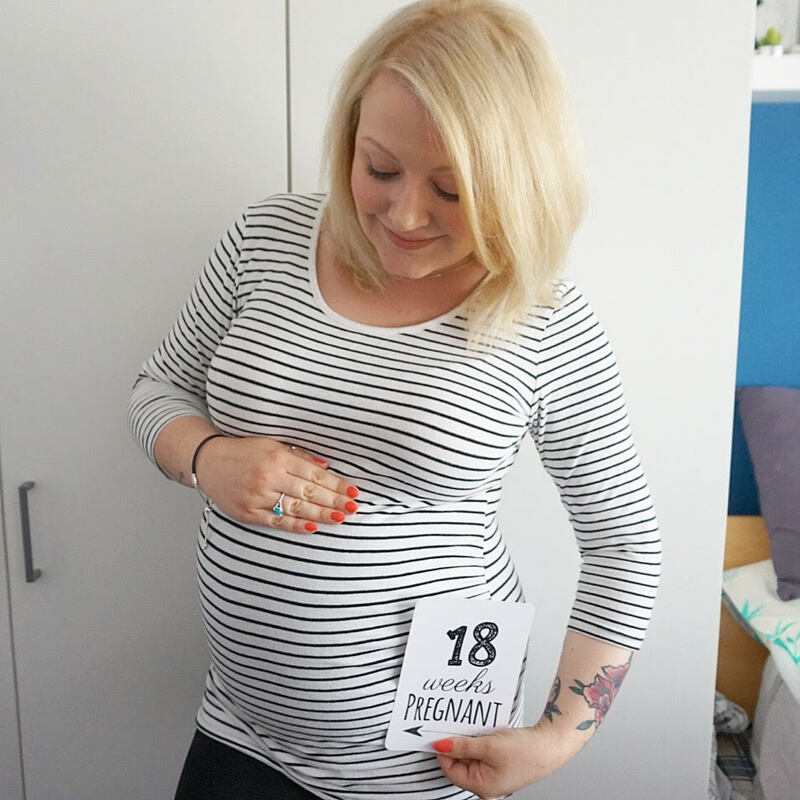 My first trimester was full of anticipation, nerves and some anxiety, I have to be honest, as having experienced a miscarriage last year, we were far more cautious this time around. We had extra, private scans early on to be sure everything was going ok and it was nice to finally reveal to everyone our happy news when all the signs looked positive. 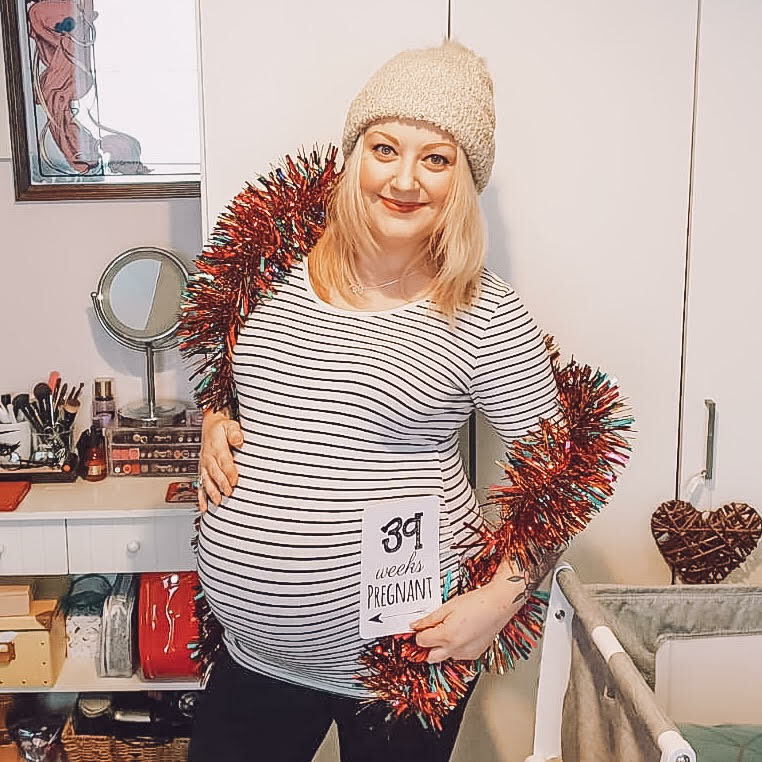 Well, I do have to say I feel like I have been pregnant a LONG time, but that isn’t in a bad way - I really do enjoy having a bump and, touch wood, everything is going well and I am feeling good. 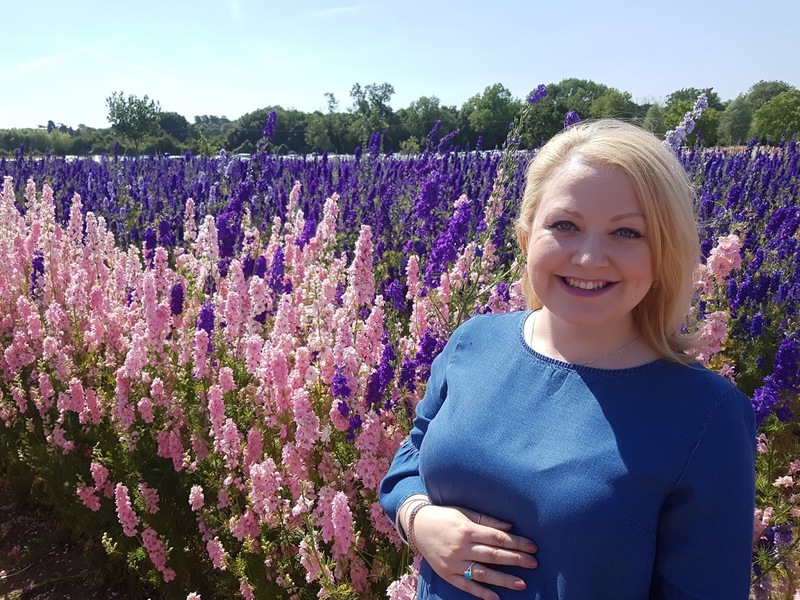 In fact, during the course of my second trimester, my overall health and well-being seems to have improved a lot; my skin has been really clear, my hair seems to be growing and thickening and I do feel good in myself. 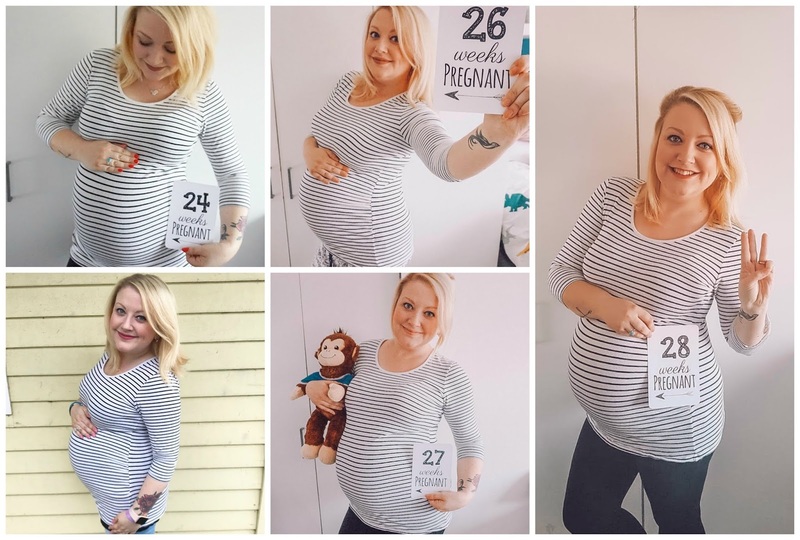 I had one or two days around 24 weeks where I suddenly felt quite sad, for no apparent reason, but it didn’t develop into anything and I talked to my husband about how I was feeling, so I’m putting it down to pregnancy hormones. I have gone a little pumpkin crazy, you could say. 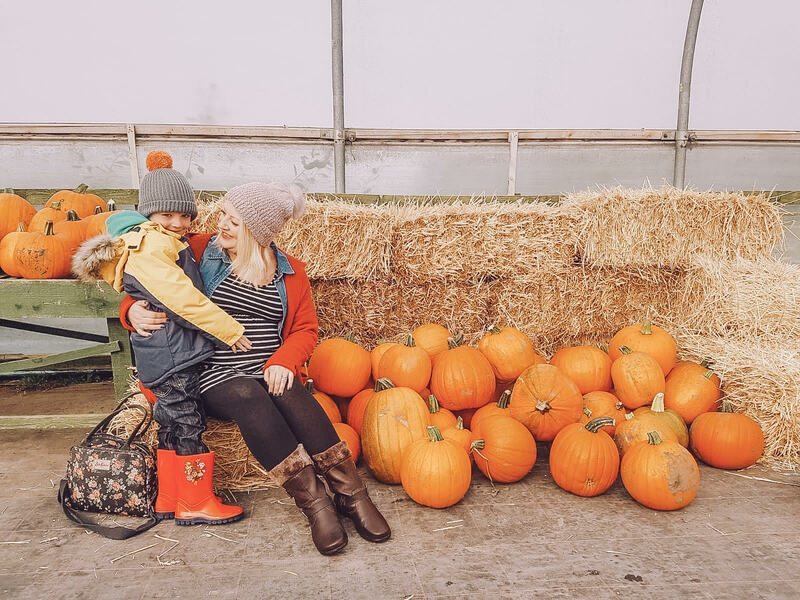 We went pumpkin picking at Essington Farm last weekend (glad we did, as it's tipping down today...) and brought home six pumpkins in varying sizes and colours. I'm getting a healthy dose of pumpkin spice lattes. And even my wardrobe is being taken over by the colours of the season. I just bloomin' love autumn! I am also loving time with my family, especially as we are the countdown to when bump turns into baby. Ethan is very excited and has been very caring and protective over me during my pregnancy, and this photo I know I will cherish as both my little pumpkins are with me, just before our life changes all over again and I become a mum of two. What to Pack For A Stag Do Abroad? The big night of bidding goodbye to your bachelorhood is one of the most important nights in an engaged man’s life. The celebration of his singlehood, before he becomes a husband and leads a happily married life, has been a long standing tradition enjoyed and followed for years now. A stag do abroad means lots of travelling, exploring and facing unexpected challenges and overcoming them happily, because it’s your friends’ stag do. Travelling abroad and having more than one night of stag celebration has become one of the top ideas for a stag do. Whether you’re travelling for your stag do to UK or somewhere else in Europe, or anywhere in the world, there are certain essentials that your suitcase must have. So here’s a list of things to help you pack your bags and have a great stag do with the lads.